Hello everyone. Well here we are at the end of July! Soon be Christmas LOL! Does anybody else wonder where this year has gone? blogs and we thank you for entering our challenges. 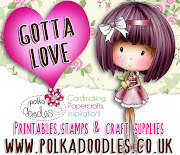 The latest releases at Polkadoodles have surely been a huge hit. Make sure you grab yours - the digi releases will be available in store this weekend! Anyway, lets get on with the show. 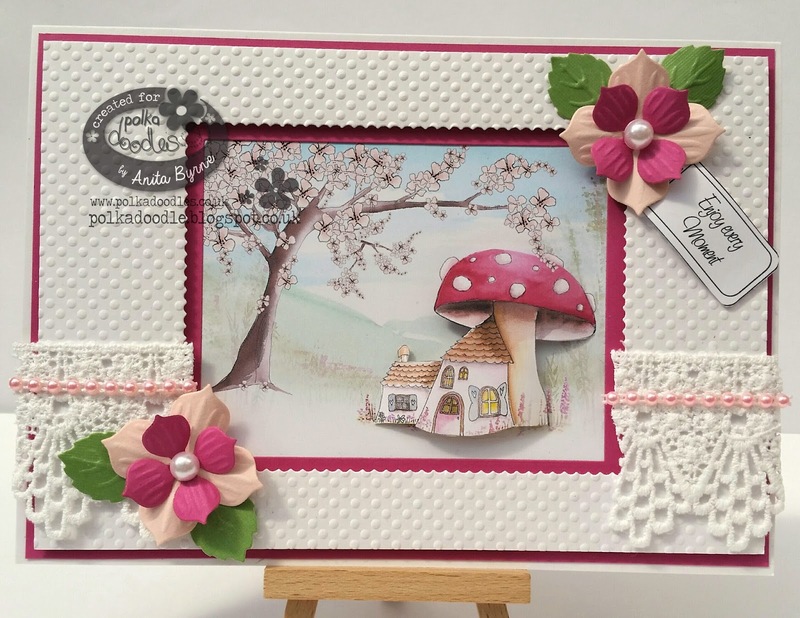 We would love you to do something extra with your makes, so it could be an easel card, a gatefold card or it could be some kind of paper folding - the choice is yours! Asha - I'm playing with Work & Play 10 - Country Life to make this square Joy fold card. The image is called Egg Collecting and is also available as a separate download digi. I coloured her with Polychromos. The papers and sentiments are also from the same CD Collection. Extra embellies - ribbon from my stash. Scatty Jan - How much fun did I have playing with all the little characters from Twiggy and Toots Festive Fun - I cut the base card in Kraft on my portrait and from there on in used the amazing CD just adding a few drops of glossy accents here and there and a smidging of glitter. 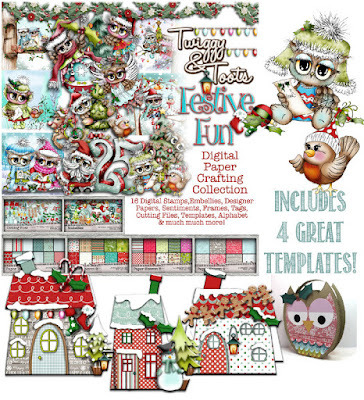 Twiggy & Toots Festive Fun Collection. It's jammed packed full of Owl cuteness along with the most cutest Robin, it really is an adorable CD. I have used the Pre-coloured Image along with the papers and sentiment. 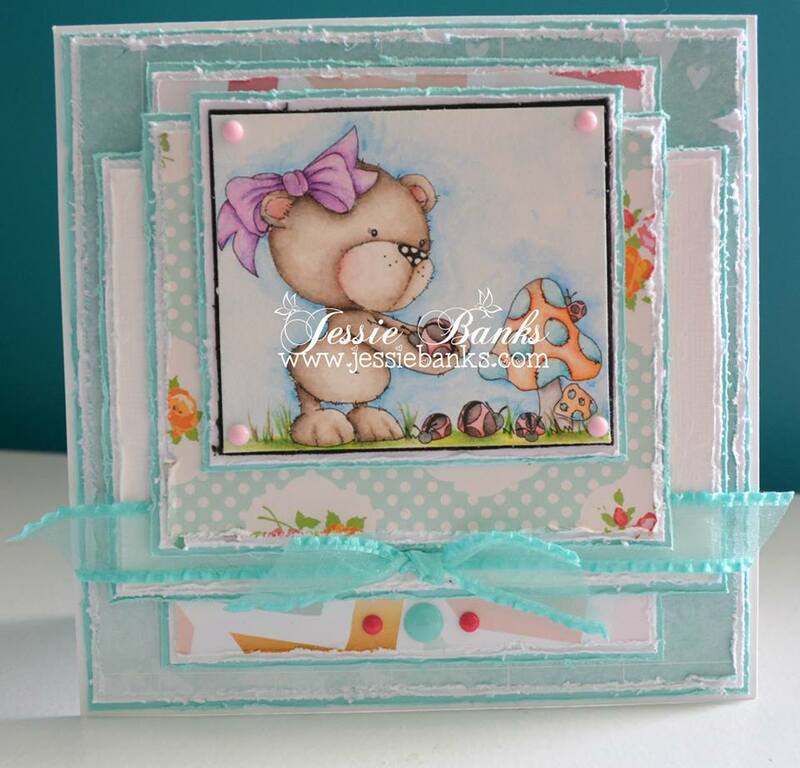 Aunty Sue - For my card I have made a Standing Springy card this has 5 folds and is made from an A4 sheet of card. I have used the awesome Twiggy & Toots Cd which you can purchase as a CD or Download. It is also available in parts. I have used a digi coloured with promarkers. All the papers and elements are from the same CD. 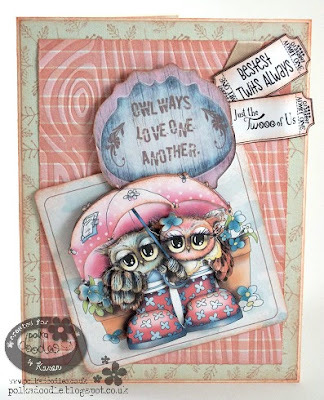 Penny - here with a simple little card using the lovely Cowgirl digi with the varied digital papers. My second fold is hidden (and I can't find my good camera), but the card opens to display the clear shaker window. 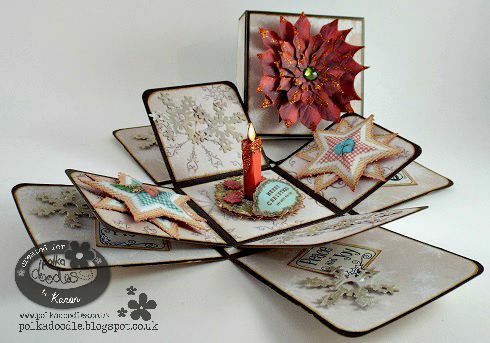 Karon - For my More than one fold creation, I decided to try something I haven't made before. 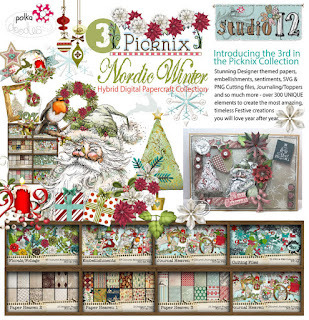 An exploding box :-) All the papers and embellishments are from the wonderful Picknix 3 - Nordic Winter collection. The poinsettia is from this wonderful CD too, I cut and layered till I was happy and then added some glitter - this is on the lid of the box. 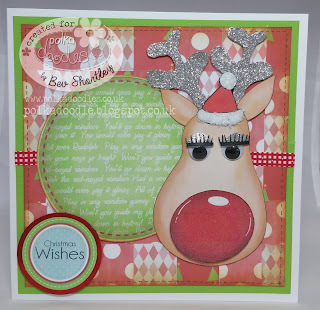 The sentiment squares are from the other new wonderful new release Twiggy & Toots Festive Fun. Agnieszka - hello :) Today I want to share with you a step card , this time I used Maddie Shy I used my favourite colors combo: pink, lime and violet. I added some flowers and butterflies . I hope you like it. Happy crafting. Gorgeous creations by the design team and Plenty of inspiration for you to get creating too. 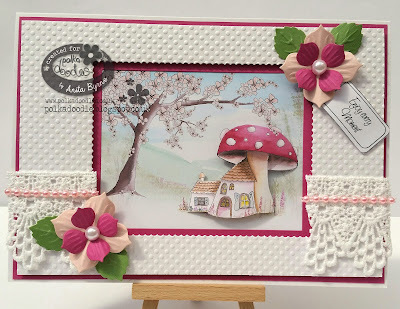 on Create & Craft TV? They are both available for pre-order now! 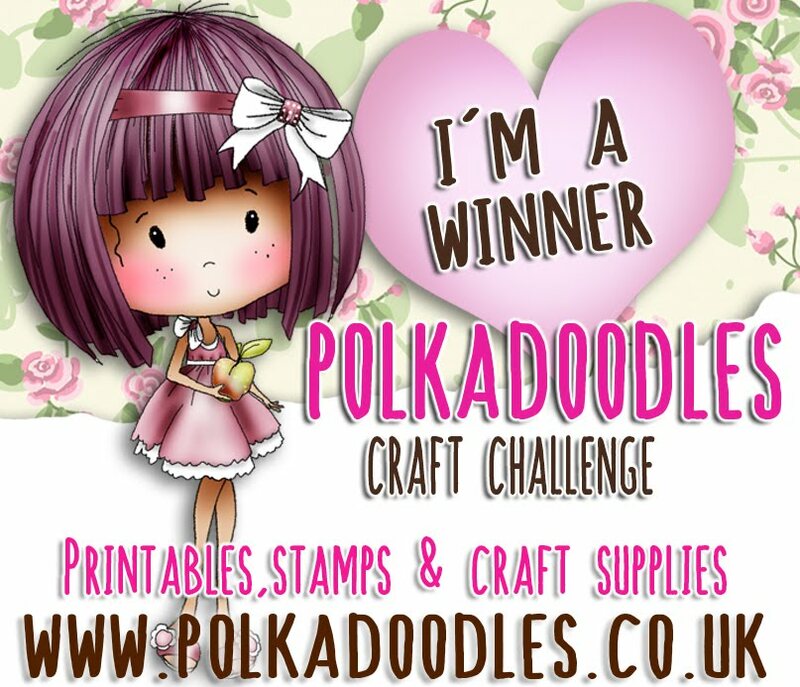 Don;t forget you do not need to use Polkadoodles products to enter our challenges. 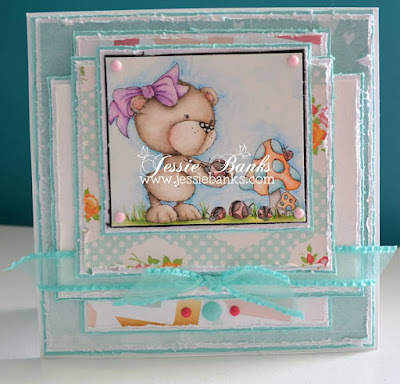 The winner of our Add some Embossing Challenge will be announced at the end of this post. We are so lucky to have a another new member joining the PD DT team, so please give a warm welcome to Susan. Susan - For my Card for the 2 or more Designer papers I have used Cinders. I have used my Promarkers with touches of pencil. My papers are from Distressed Wood Pack and Twiggy & Toots CD. The Sentiment is also from the CD. 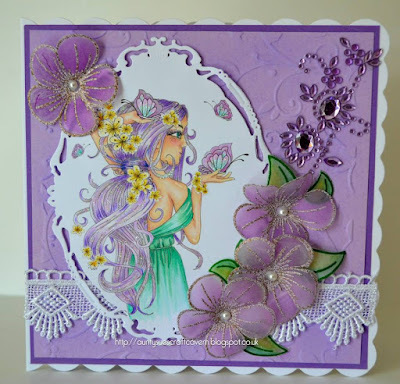 Finished off with some Lace, Spiders Web and gems and an embossing folder. And here's the rest of the Design Team and they fabulous inspiration. 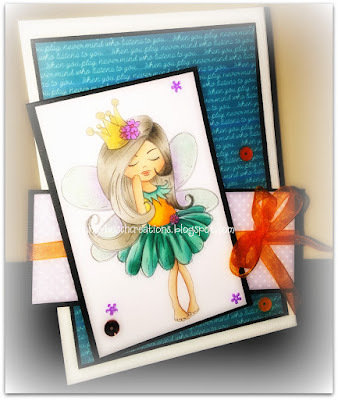 Asha - My card features a fairy from the sweet Serenity Fairy Collection. She's called Serenity Butterfly and is also available as a separate download. I coloured her with Polychromo pencils. 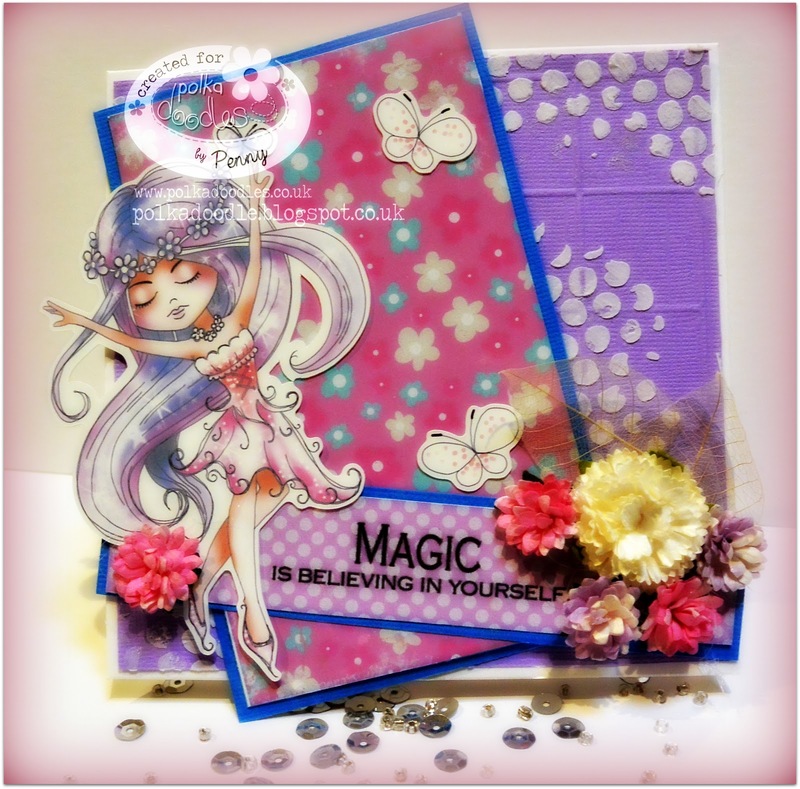 The two patterned papers are from the Serenity Fairy Collection. To finish I added some ribbon and little blobs of Liquid Pearls. Karon - I decided, as I just couldn't resist, to use the fabulous Owl Bag template on the wonderful new release Twiggy & Toots Festive Fun Collection. I did add a couple of extra layers to the feathers. 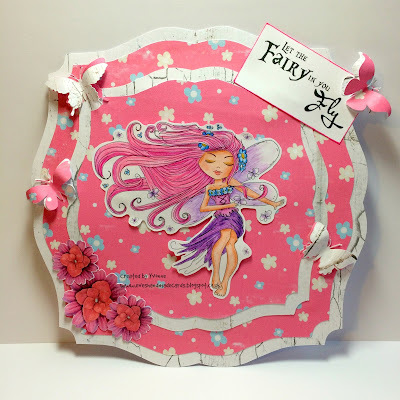 The template was so easy to follow and you can make it your own, by using all the different fabulous papers. I added a beautiful Poinsettia from the collection too. Cheremane - For my inspiration I couldn't resist one of the Brand New Collections Twiggy & Toots Festive Fun Collection. Oh my its jammed packed full of goodies for all your paper crafting. 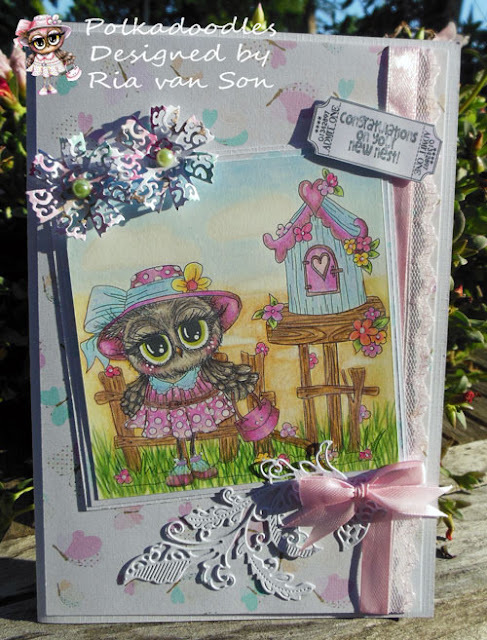 I have used several of the papers from the Cd along with the cutest Fairy Owl pre-coloured image and sentiment. To finish I added some ribbon and lots of glitter which you can also find these crafty goodies in the Shop. 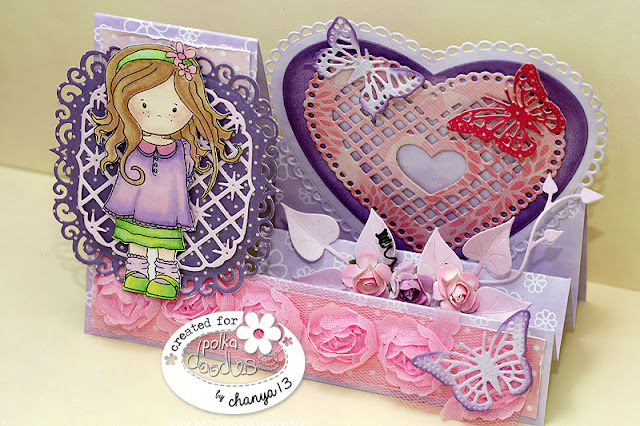 Jackie - A little bit of inspiration using the digi 'Oddella Twig' some patterned papers, lace and dies...the butterflies are cut from patterned paper to add texture. Penny - with the lovely Serenity Princess who comes as a single digi or in the fabulous kit Serenity Fairy Wishes. 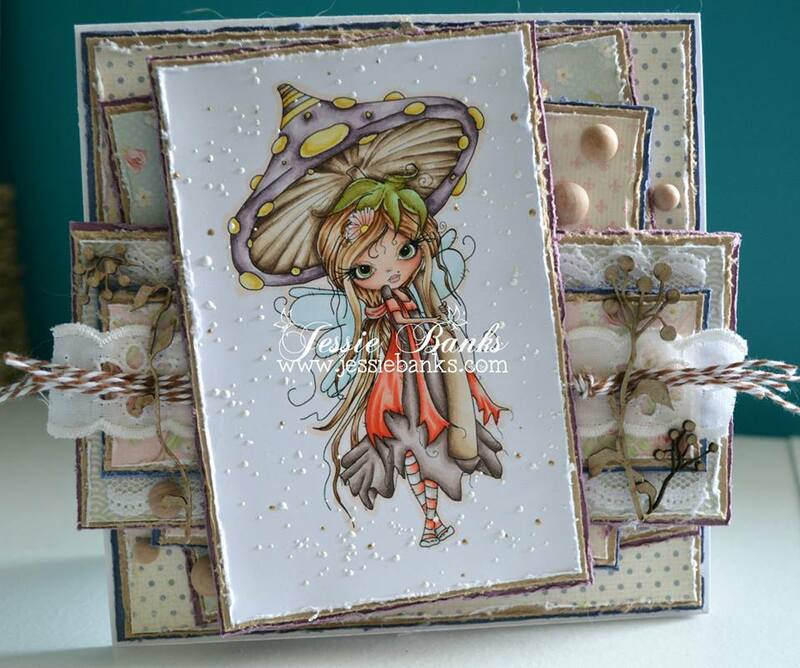 I used digi papers from varied kits. I love how easy it is to mix and match. 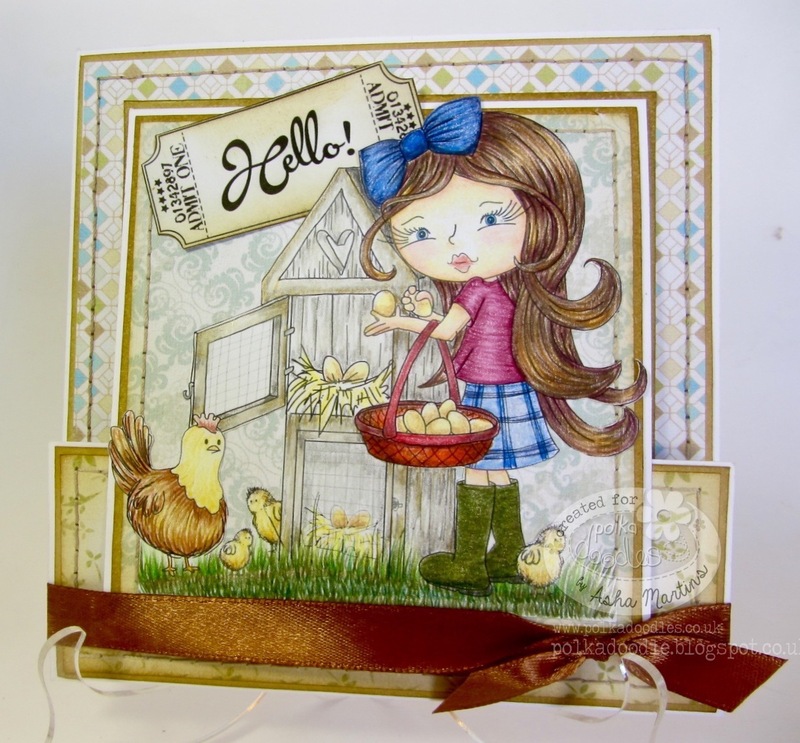 Agnieszka - hello Crafters :) Today I want to share with you a card , this time I used http://polkadoodles.co.uk/octavia-bird-in-the-hand-digital-stamp-download/ I added some flowers and ribbon. I hope you like it. Happy crafting. You have won $10 of downloads from the store. 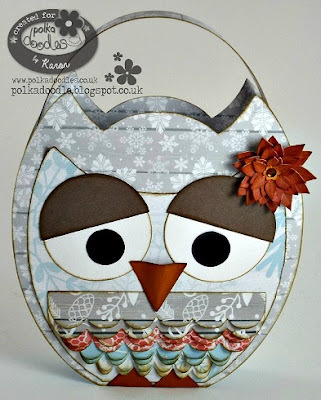 Now it's time to get your craft on and enter our latest challenge. July Releases!! Pre Order now!! Naz - The image I have used here is from WORK and PLAY 10 COUNTRY LIFE called FOX DIGITAL STAMP. 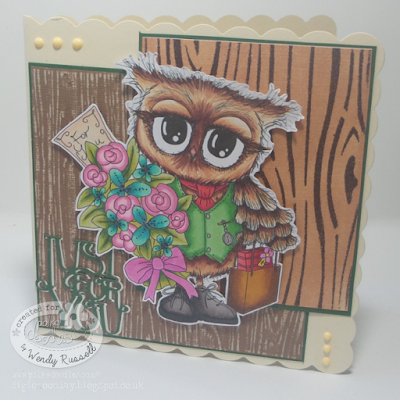 WOODLAND LOG/TREE is from TWIGGYand TOOTS OWLS Collection. Like I said in my previous posts, I like to combine different stamps and images form different collections. I coloured the images with Copcis and added some watercolour pencil for shading and added few pearls and some stitching for embellishment. Bev here with my take on this fortnights challenge. 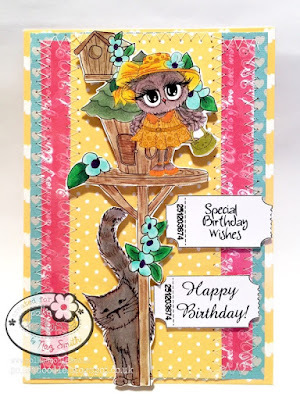 I used the brilliant Bonbon Belles Collection for my easel card, honestly Nikky has crammed so much on these two discs that you'll be ooing and ahhhing for hours! 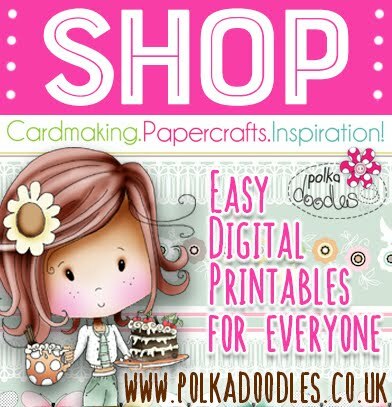 I've had to take time out of DT duties recently and have been struggling with my crafty mojo but it's great to be back! 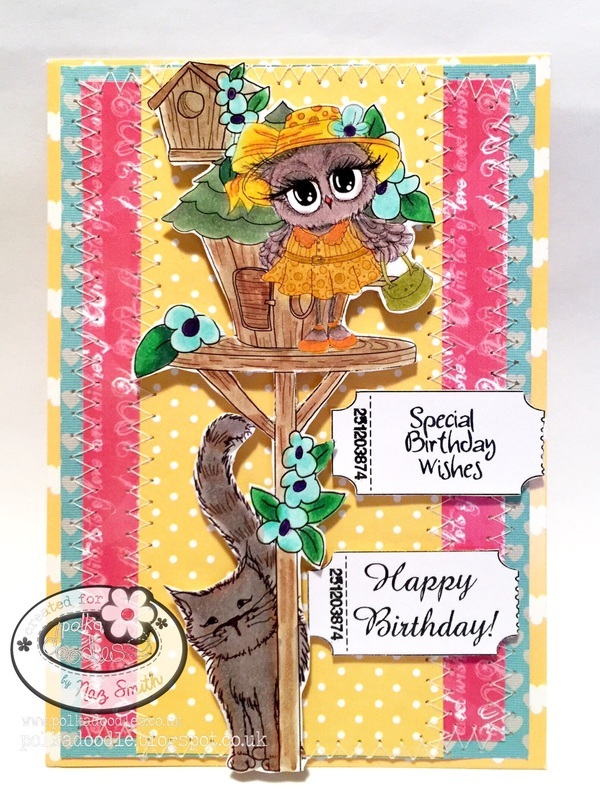 Ria- For my card I used my favourite collection TWIGGY AND TOOTS ;) sorry I just can't help myself I have to use them Alot hihihi So I combined Twiggy Hats off and one of the birdhouse stamps and coloured them with Pencils. 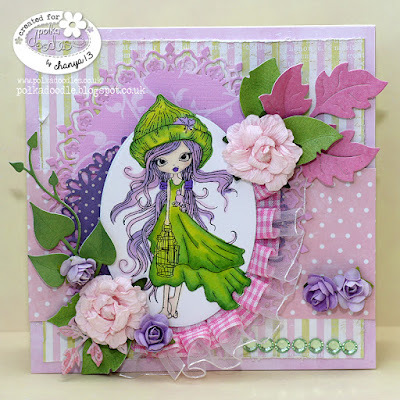 My embossed parts are on the Tattered Lace Dies that I used. 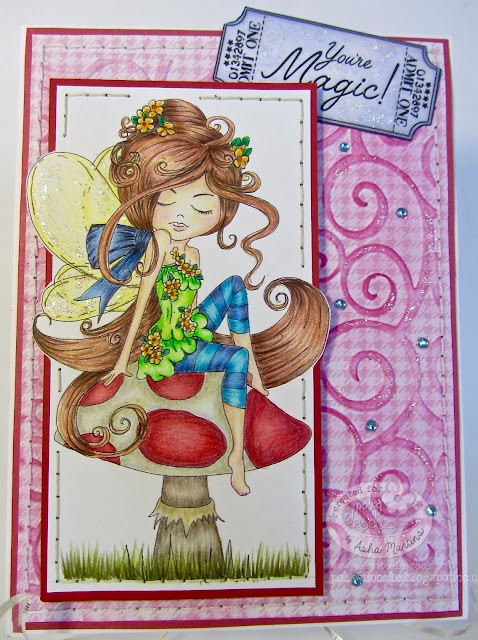 Anjie - I have used Serenity Earthstar from the Serenity Fairy Wishes bundle. You can also buy the image individually HERE. 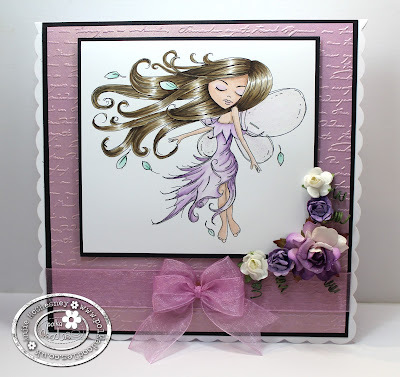 I have used Graph'It Markers to colour her in and the embossing is done using a folder from Tattered Lace. 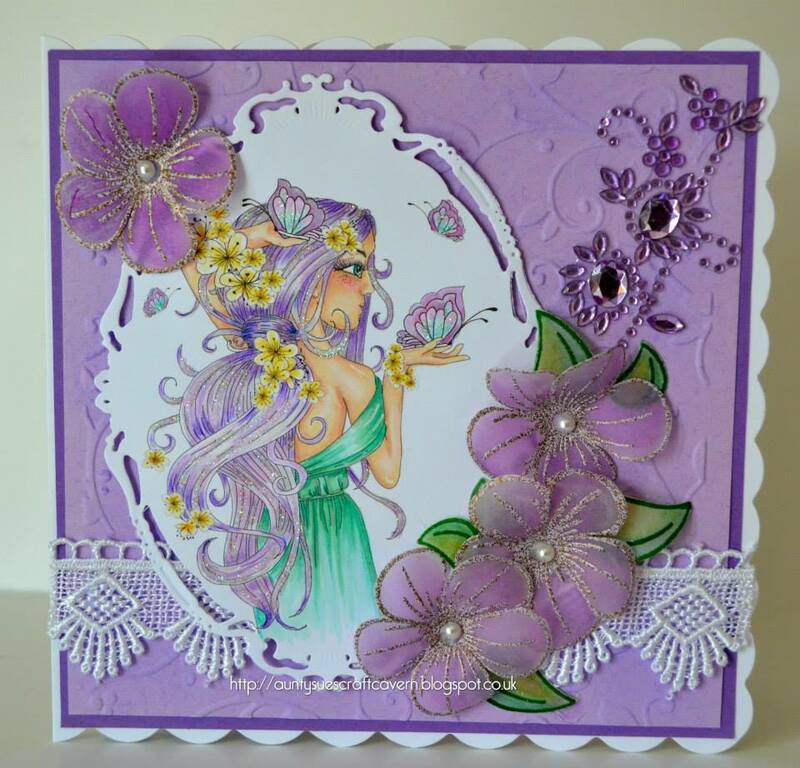 Jenny - I have also used Serenity but I chose Butterfly she is from the Serenity Wishes Bundle and individually too. 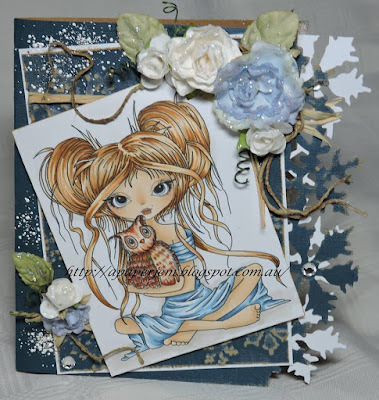 I have used both Graphic markers and Copics, I have used a corner embossing folder for something a little different. 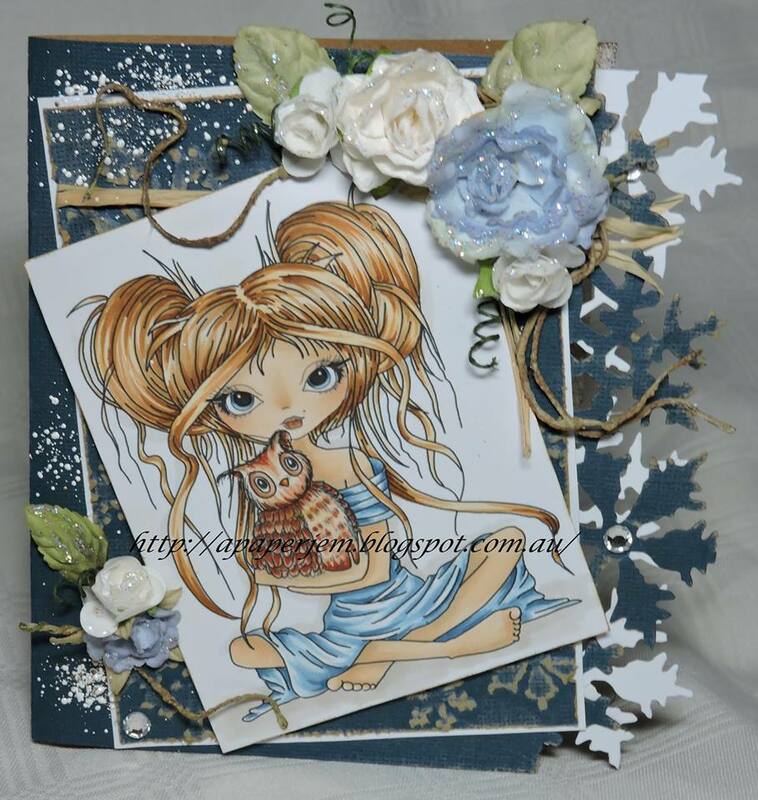 used the pre coloured image it's so cute, I also used an A4 embossing folder. Wendy - I've used two different types of embossing on my card, both heat and dry. The image I've used is A Gift for You from the Twiggy & Toots collection. 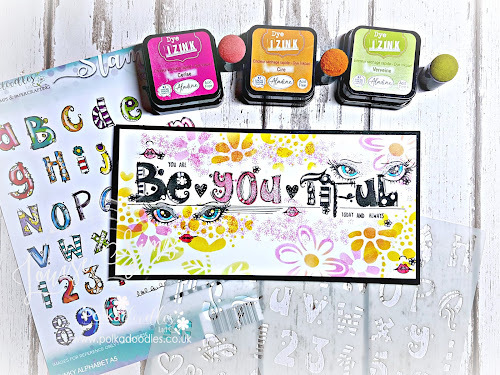 You can get the full collection here, or just Twiggy as a digistamp here. 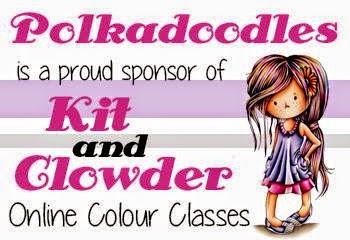 Please contact us HERE and quote PD28001Wk25 to claim your prize. Hi everyone, Friday all ready! Are you all surviving the UK heat wave?! 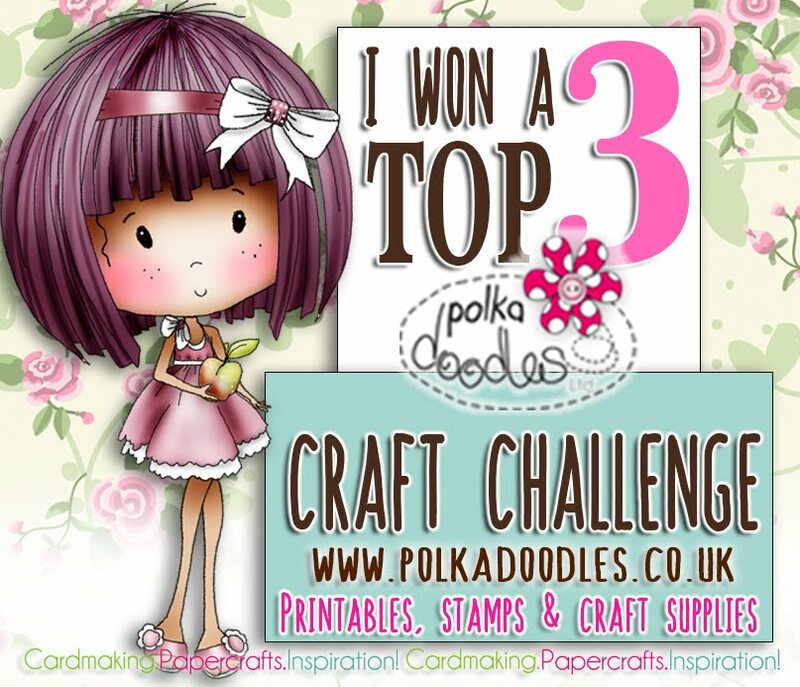 It's the start of a new challenge here at Polkadoodles. You have until Noon, GMT, Friday, 17th July to enter. $10 of downloads from the store! Please remember there are only two entries per person. ... and the Design Team have been working hard too - here are their fabulous makes for the start of this new challenge. 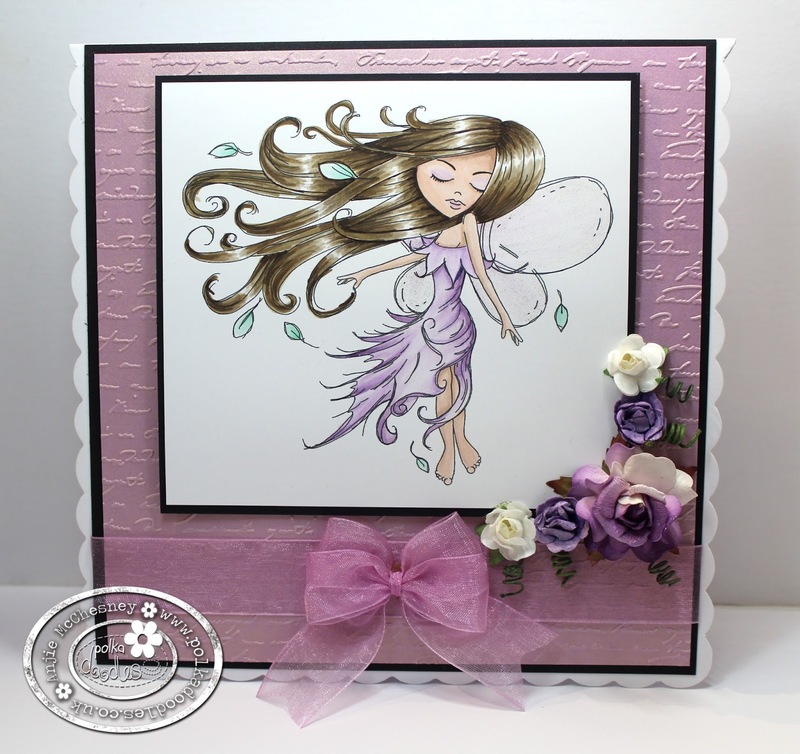 Penny - with the beautiful pre-coloured image from the Serenity Collection - Serenity Joyful. She is also an uncoloured Digi image. 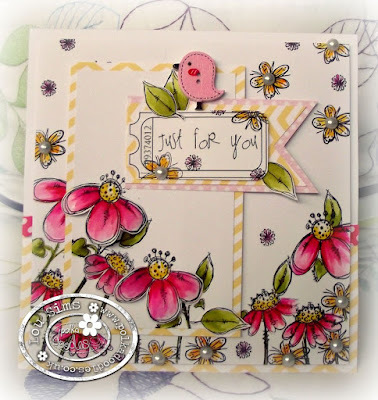 The Collection as always has stunning digital papers and sentiments. I printed on glossy to allow the colours to really pop. 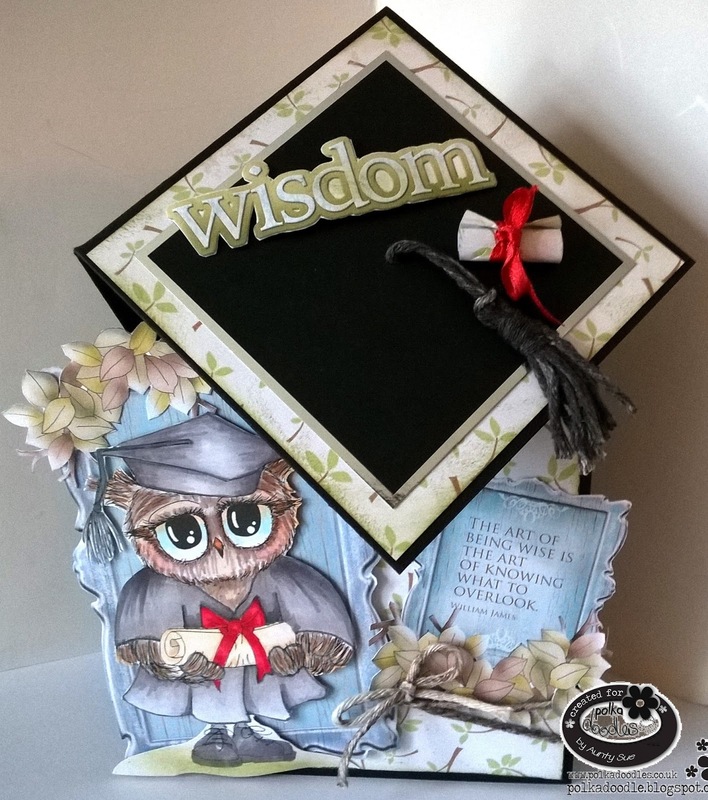 Our theme is Embossing and I chose to use both dry embossing with folders and embossing paste with a stencil and Whipped Spackle Paste. The coloured image allowed me to make this card up really swiftly. 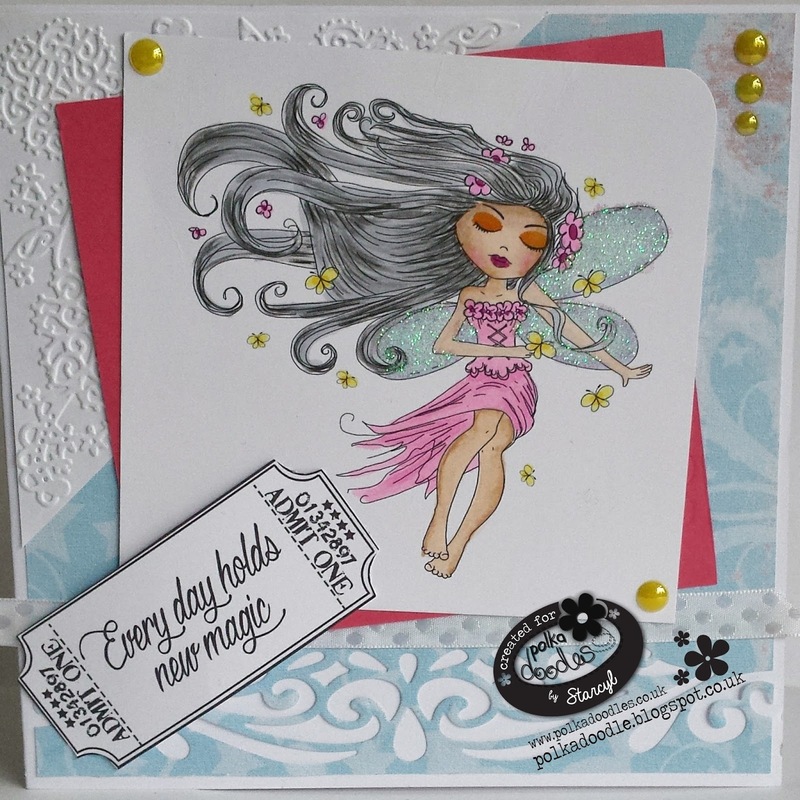 Asha - My card features a fairy from the sweet Serenity Fairy Collection. She's called Serenity Blossom and is also available as a separate download. I coloured her with Polychromo pencils. The patterned paper is from the Work and Play 10: Country Life Collection. I dry embossed it and inked it to make the swirly design stand out. The ticket tag is from the Serenity Fairy Collection. To finish I added Stickles and bling. 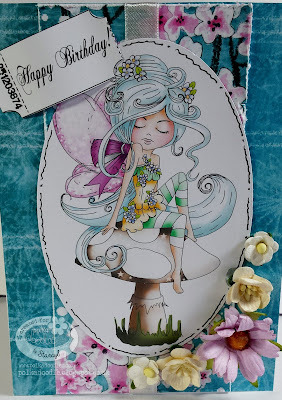 Scatty Jan - For my Embossing card I have used the lovely digi image Luna, coloured with Graph'It markers and a couple of Polychromo also using the White shake it Graph'It pen. 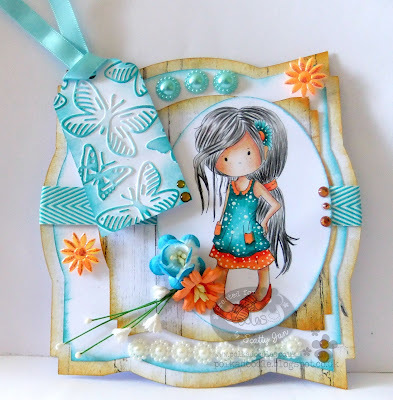 I have embossed a tag using a butterfly folder and used distress ink over it. 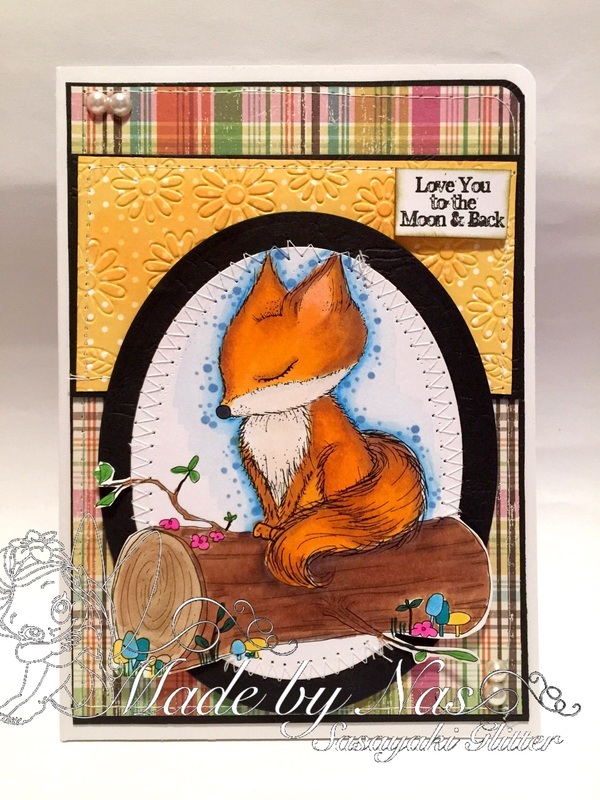 The papers I have used are the Distressed wood printables that I have also ink distressed the edges to match the colours used. Finished off with ribbon, flowers, gems and bling. 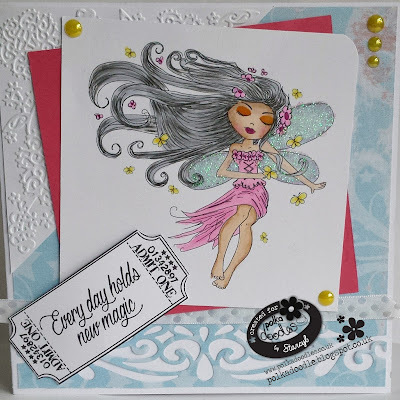 Cheremane - For my inspiration this time I've used the beautifully stunning Serenity Fairy Wishes Collection. I have used the pre-coloured Serenity Joyful Digi as my main image. 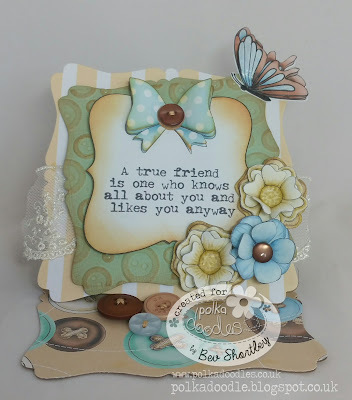 For my embossing I have used an embossing folder on the butterfly edge and sanded it back for tone and then added frantage embossing powder for detail too. I have also embossed my die cut frame. 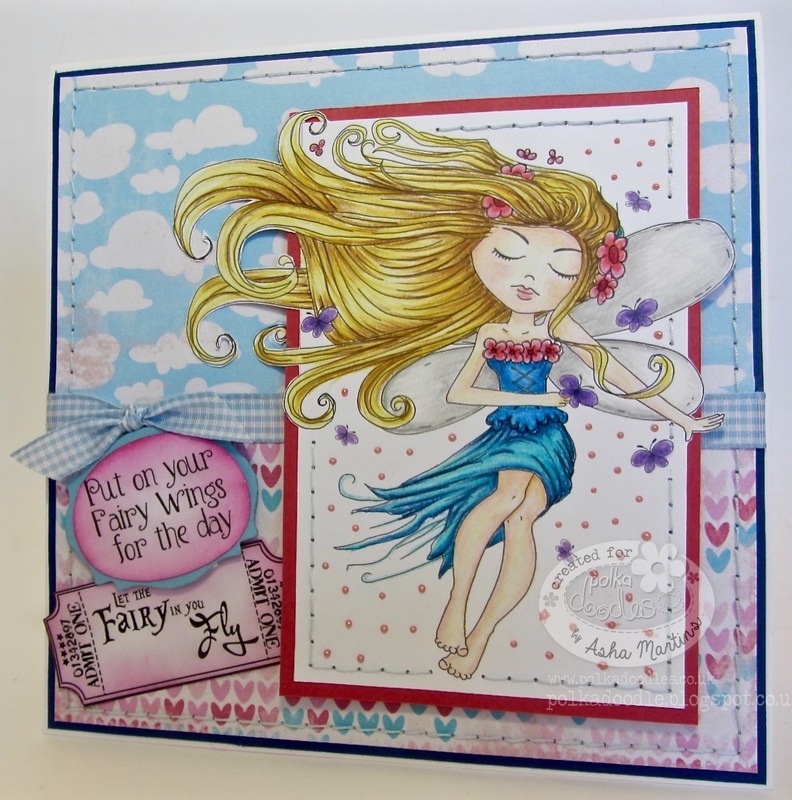 The papers and sentiment are all from the Serenity Fairy Wishes Collection as well. Such a stunning collection and so easy to work with. Agnieszka - hello Crafters :) Today I want to share with you my exploding box ful of owls ;), this time I used Twiggy and Toots collection :) I added pre-coloured images with owls and two tinny wodden owls. 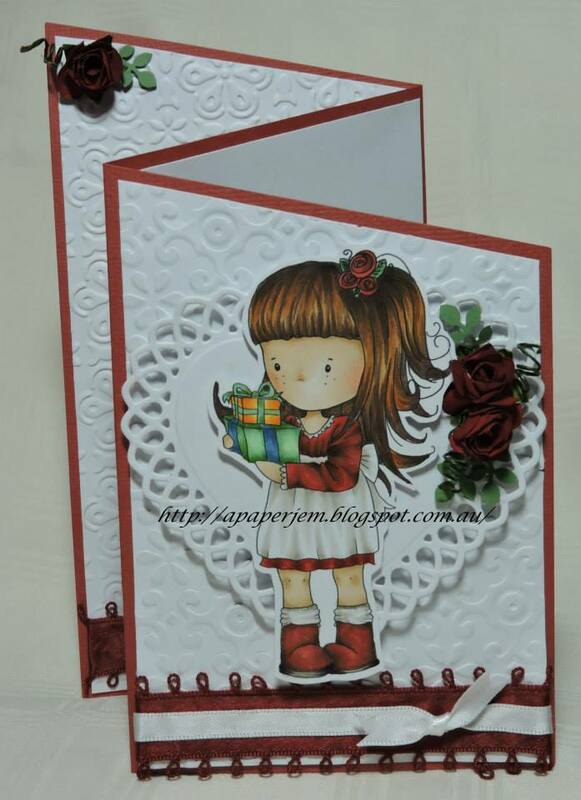 For my embossing I used embossing folder. In the middle of my box (under lid) is a place where you can write something:) I hope you like it. Happy crafting. The winners for our Frame It challenge will be announced next Friday.